Andrea Tafi is searching for a team that will sign him so he can commemorate his 1999 Paris-Roubaix win by racing it this year. FLORENCE, Italy (VN) — Andrea Tafi‘s dream of racing Paris-Roubaix 20 years after winning it appears at a dead-end without teams willing to sign him. The 52-year-old Italian, who retired in 2005, continues to train without a professional team to make his dream possible. Only three months remain until the “Hell of the North,” which Peter Sagan (Bora-Hansgrohe) won last year. Time appears to have run out. VeloNews spoke to a still-hopeful Tafi but also with with several insiders, the latter who said it seems impossible at this point that Tafi will take part in the 2019 race on April 14. It is a question of money, rules, and ethics, they noted. Three months have passed since news first broke that Tafi wanted to race Paris-Roubaix for the 14th time and for the first time in 14 years. Since then, teams have announced and confirmed their rosters and in Australia this week, the season began with the Santos Tour Down Under. No team presented Tafi at its launch or spoke of the possibility that it could sign him. 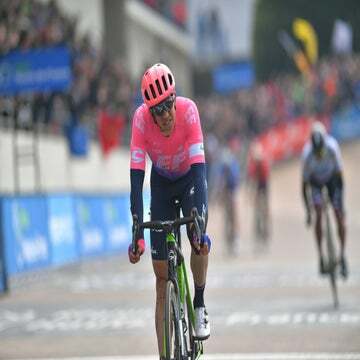 “My project goes ahead, I’m continuing to train,” Tafi told VeloNews when asked what he is doing without the possibility of a professional team. To make his dream possible, Tafi registered with cycling’s anti-doping testing pool, RTP. He is listed on the 18th of 26 pages of riders to be tested this year. The UCI confirmed to VeloNews that the transfer period for riders closed on December 31, 2018. As of this writing, it had yet to verify that a team could sign a new rider after its season has begun. One agent who spoke of Tafi said it is still possible to sign for a team, but like all insiders, he doubts cycling will see Tafi race at the top again. Tafi would have to sign for one year and receive a minimum salary of around 30,000 to 35,000 euros. It would be a big commitment for a team, which would only see Tafi in action for a few races. Another insider spoke of the ethics around signing Tafi, who tested positive for EPO during his career, when there are young and upcoming cyclists hoping to race the major events. 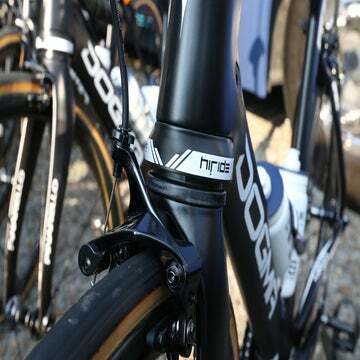 In 2013, a retroactive testing program showed that Tafi and others had traces of EPO in their systems during the 1998 Tour de France. He would need to sign with one of the 18 WorldTour teams with guaranteed starts in the race or with one of the Pro Continental teams that receives a wildcard invitation. Paris-Roubaix organizer ASO named seven teams in addition to the 18 WorldTour teams to race its 2018 edition, each with seven riders. Tafi said last October that he intends to document the entire experience on social media and for an eventual film. If a team were to hire him, for publicity purposes, it would already want to be promoting the ride to make the most of its money. Without a professional team, Tafi explained in October that he would race the amateur event and still celebrate the 20 years that passed since he rode Mapei’s team colors to victory in the Roubaix Velodrome. Those close to Tafi say there are talks with teams but “nothing’s certain yet.” They want a team that embraces his documentary project and 20-year anniversary celebration. Other riders who were asked about the possibility of a 52-year-old returning after 14 years away shook their heads. “It’s hard,” Davide Rebellin, who continues to race at age 47, told Tutto Bici. “To Andrea I say, I hope you don’t race, you need to do something else in your life at 52 years old,” former professional and Italian star Paolo Bettini told La Gazzetta dello Sport last year. 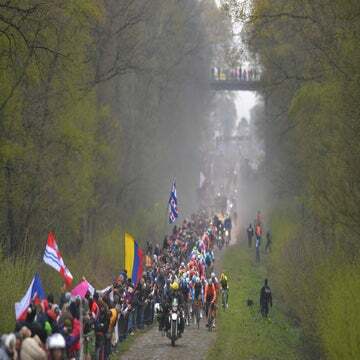 Although there are many who doubt things will work out as Tafi hopes, Tafi could be waiting for one of the Pro Continental teams to receive its wildcard invitation to Paris-Roubaix, due this month, before making any deal. Teams like Wallonie-Bruxelles, Vital Concept-B&B Hotels, and Arkéa Samsic were among the seven wildcards last year.